The Western Hockey League is deeply saddened to learn of the passing of two-time WHL Champion General Manager and Head Coach Jack Shupe. Shupe, a native of Medicine Hat, passed away Wednesday evening at the age of 89. Shupe spent 13 seasons as a WHL General Manager and Head Coach, splitting his time between the Medicine Hat Tigers and Victoria Cougars. At the end of his WHL coaching career, Shupe owned an all-time record of 466-338-83 and a winning percentage of .572. 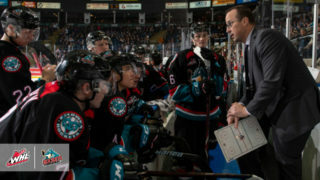 As of the conclusion of the 2018-19 WHL Regular Season, Shupe sits 10th all-time in WHL coaching victories. During the 1972-73 season, Shupe guided the Tigers to a record of 39-20-9, good enough for a second-place finish in the WHL’s West Division behind the Edmonton Oil Kings. After taking care of the Calgary Centennials in six games during the quarter-finals of the 1973 WHL Playoffs, the Tigers then knocked off the Oil Kings to advance to the WHL Championship. 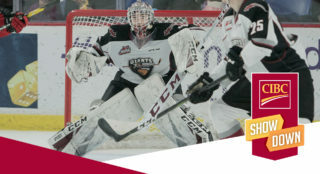 Facing the regular-season champion Saskatoon Blades, Shupe’s Tigers secured three wins to claim the best-of-five series and emerge as WHL Champions. After having moved on to become the Owner, General Manager and Head Coach of the Victoria Cougars, Shupe saw his name etched in history as the WHL Coach of the Year for the 1977-78 season, splitting the honour with Dave King, Head Coach of the Billings Bighorns. That season, Shupe directed the Cougars to a record of 34-29-9 and a second-place finish in the WHL’s West Division. 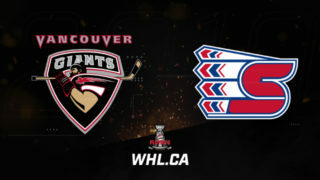 After advancing beyond round-robin play in the 1978 WHL Playoffs, Shupe and the Cougars were defeated by the eventual WHL Champion New Westminster Bruins. On the heels of having racked up 51 wins during the 1979-80 season, Shupe managed to lead the Cougars to a WHL-best mark of 60-11-1 (121 points) during the 1980-81 campaign. 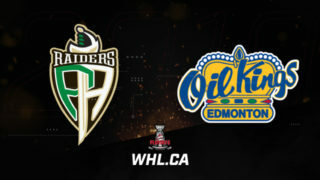 To this day, that season has stood the test of time, ranking as the third-best season by any team in WHL history, trailing only the 1978-79 Brandon Wheat Kings (58-5-9, 125) and the 2008-09 Calgary Hitmen (59-9-3-1, 122). 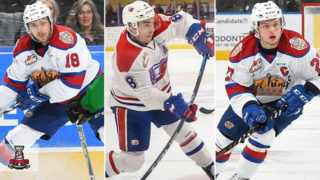 The 60 wins registered by Shupe and the Cougars represents the only time in WHL history a team has reached the 60-win plateau. Over the course of that magical 1980-81 season, Shupe’s squad saw eight players reach the 30-goal mark or better, including Barry Pederson (65), Rich Chernomaz (49), Torrie Robertson (45), Grant Rezansoff (40), Paul Cyr (36), Bud McCarthy (35), Brad Palmer (34) and Mark Morrison (31). 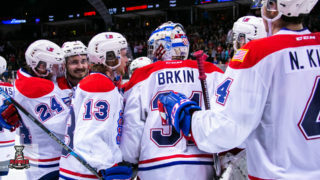 That post-season, Shupe’s Cougars made quick work of the Spokane Chiefs, sweeping their West Division semifinal to advance to the West Division Championship, where they quickly dispatched the Portland Winterhawks in four games as well. In the 1981 WHL Championship, the Cougars slipped past the Calgary Wranglers in seven games and for the second time in his coaching career, Shupe found himself behind the bench of a WHL Championship team. Shupe’s final season as a WHL bench boss came one year later at the conclusion of the 1981-82 campaign. He guided the Cougars to a record of 43-28-1 before falling in the West Division semifinal to the Seattle Breakers. 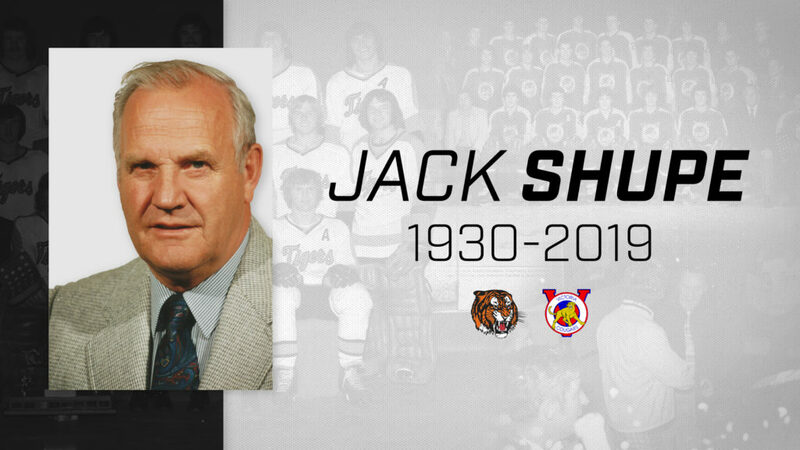 The WHL wishes to extend its deepest sympathies to the entire Shupe family. Shupe was predeceased by wife Lila Shupe in 2017. The couple had four children, Judy (Denis Gagnon) Shupe, Jill (Keith Gladu) Shupe, Jane Shupe, Jerry (Nicole) Shupe and four grandchildren and three great-grandchildren.